If you want to see my adventure you can see them on my Instagram stories. On the day that I arrived in London I went to pick my friend at Euston train station and after we left our luggage at the house and decided it was time to explore so we went to visit the Sea Life Aquarium and I can say that although it was a spectacular adventure and fun I think the Lisbon Oceanarium is way better but I loved the experience nonetheless . We went during a limited time where it had opened a new area called Rainforest Adventure. 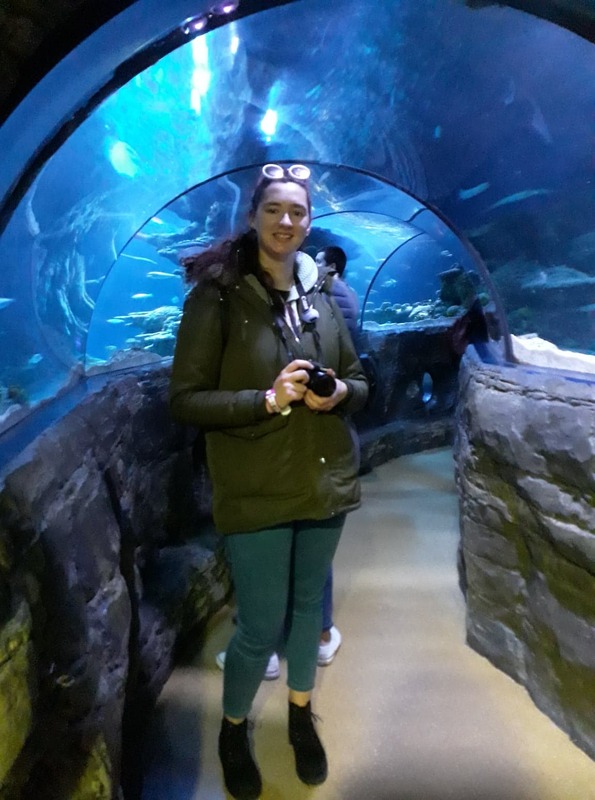 It was a lot of fun to see the aquatic animals and I recommend you to go if you have never been. And because we were tired from the trip we had lunch looking at the London Eye while listening to a street singer, which made the mood brighter. After that, we went to our little area in Mile End and went for a hot chocolate in Costa. On the second day, we went to Madame Tussaud's Museum and I've never seen anything like this in my life since the last time I went to a museum like that was when I was 11 years old in Paris! I was able to take pictures with some of the celebrities I know and admire and it was a very fun experience. I loved watching the Star Wars and the Avengers section. We also passed the Sherlock Holmes museum. After the visit to the museum we went to The Regents Park for lunch with our lovely sandwichs of cheese and lettuce and I can almost say that we were "attacked" by a swan that wanted to steal the plastic bag that contained our amazing doughnuts! On day three we spend almost all day visiting the zoo! Almost five or six hours of pure fun seeing fantastic animals and the atmosphere was spectacular. Although it was raining in the beginning so many animals were hidden a few hours later the sun appeared and we could see more of the animals that were hidden in their shelters. The zoo is enormous and I like that since the animals while in captivity need their space and the bigger the better. The fourth day started with a lot of rain and we went to visit the huge Museum of Natural History which was extremely fun to know all the rooms and learn immensely about biology and geology! Soon after we went to the Science museum which is literally next to the previous one and was also funny. 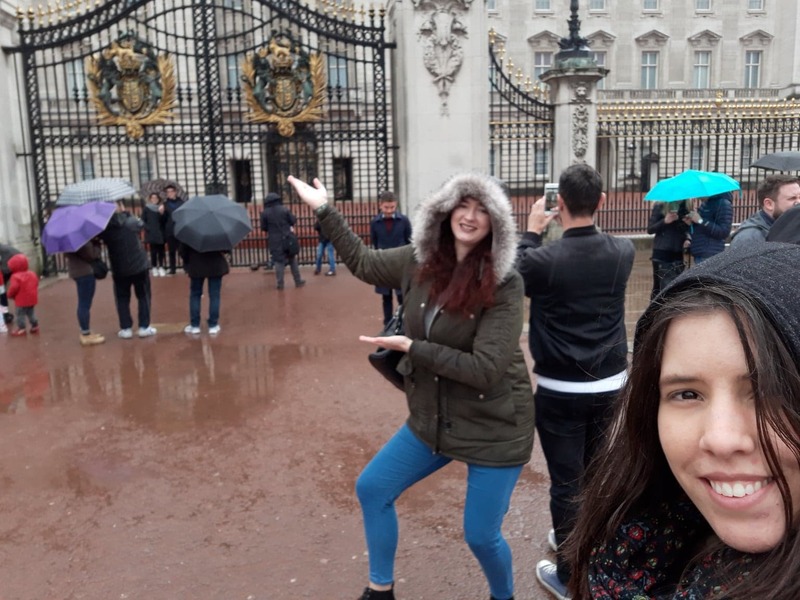 During the afternoon we went to see the St. James Park and went to see the outside part of the royal house, the Buckingham Palace. The park was beautiful and had a lot of wildlife like squirrels and a lot of ducks and other birds. We cooked our dinner at home and had this very delish red velvet cake from Tesco. After dinner we decided to go to a pub next to the house where we were staying and were surprised because it closed at midnight! On the fifth and the last day of sightseeing and we decided to visit the most famous shopping street, Oxford Street, and I tell you that I had never entered a Primark with four floors! Yes, four! I bought some things that I knew that were not available in Portugal ( I'll write a haul don't worry ). London is one of those cities that everyone has to visit at least once in a lifetime and I've had the opportunity to visit it twice. The last time I went was three years ago in summer with my family and this time I went to visit a friend of mine who is living in England. 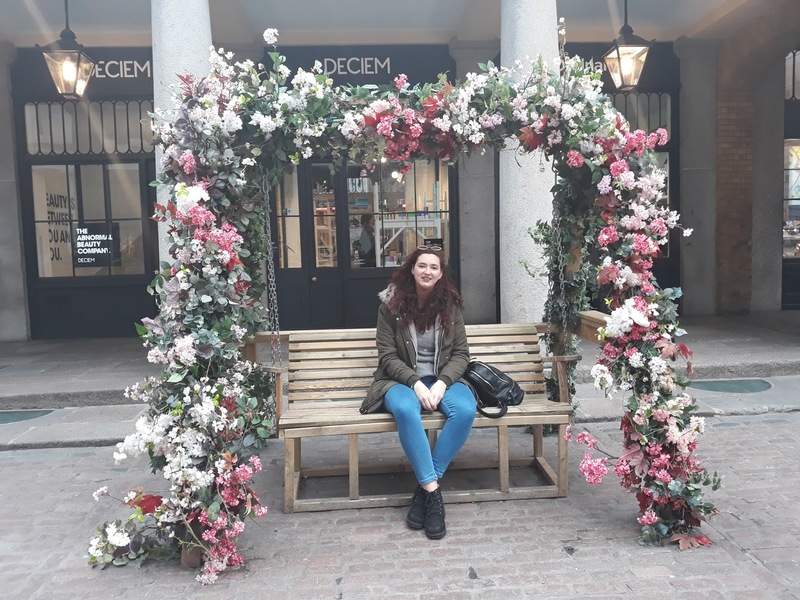 I 've always had a fascination with London and one day I would love to visit more places in England and explore new cultures. We stayed in a house that I found on Airbnb where we rented a room near Mile End and, despite some minor problems we had with the room, it was a good experience. The quality was not that good as we paid € 200 each for the room so you couldn't expect a 5-star suite. And because we were tired from the trip we had lunch looking at the London Eye while listening to a street singer, which made the mood brighter. After that we went to our little area in Mile End and went for a hot chocolate in Costa. 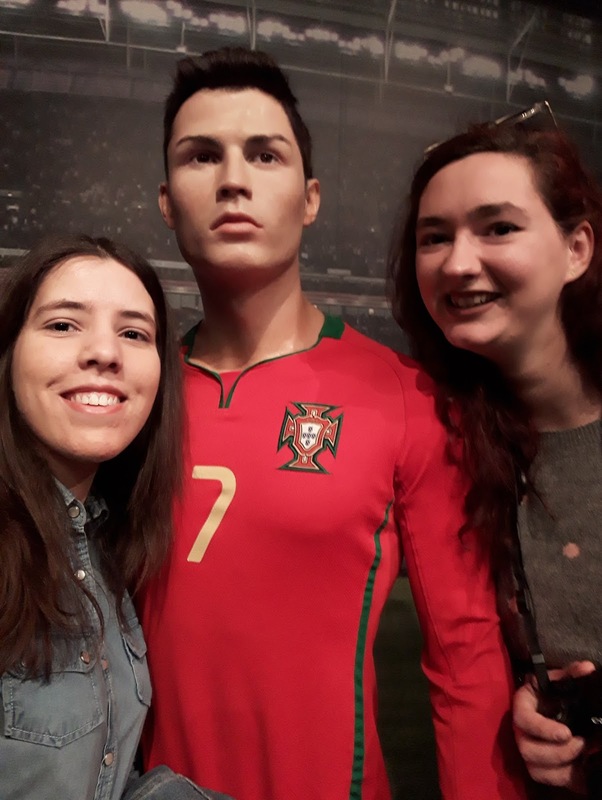 On the second day we went to Madame Tussaud's Museum and I've never seen anything like this in my life since the last time I went to a museum like that was when I was 11 years old in Paris! I was able to take pictures with some of the celebrities I know and admire and it was a very fun experience. I loved watching the Star Wars and the Avengers section. 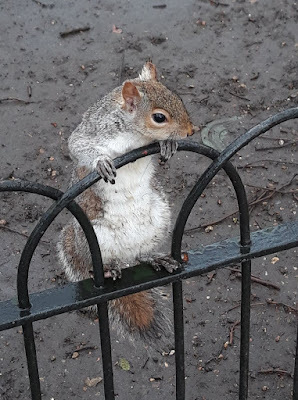 After the visit to the museum we went to The Regents Park for lunch with our lovely sandwichs of cheese and lettuce and I can almost say that we were "attacked" by a swan that wanted to steal the plastic bag that contained our amazing donuts! We also passed the Sherlock Holmes museum. We decided to go see Piccadilly Circus and take the typical photos with the ads! We then went to Covent Garden (gorgeous btw) and decided to go out to dinner at a Portuguese restaurant called Canela. We found the price/quality ratio of the food very poor as we paid more for the amount of food we ate (England!). After dinner we went to a typical English pub and drank my first pint of guiness! On day three we spend almost all day visiting the zoo! Almost five or six hours of pure fun seeing fantastic animals and the atmosphere was spectacular. Although it was raining in the beginning so many animals were hidden a few hours later the sun appeared and we could see more of the animals that were hidden in their shelters. 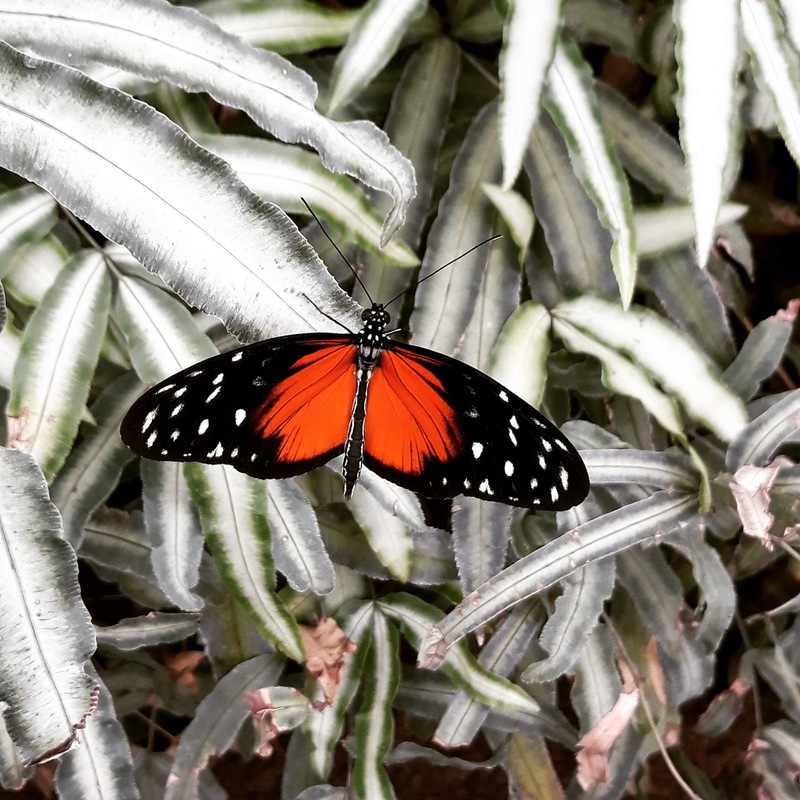 The zoo is enourmous and I like that since the animals while in captivity need their space and the bigger the better. I loved the whole experience and I think if one day they have the chance I think they should enjoy it. 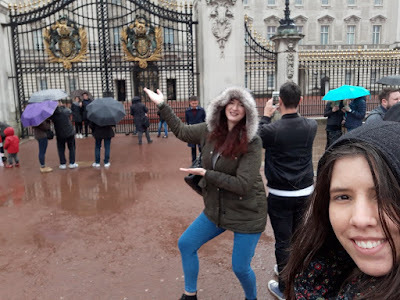 During the afternoon we went to see the St. James Park and went to see the outside part of the royal house, the Buckingham Palace. The park was beautiful and had a lot of wildlife like squirells and a lot of ducks and other birds. 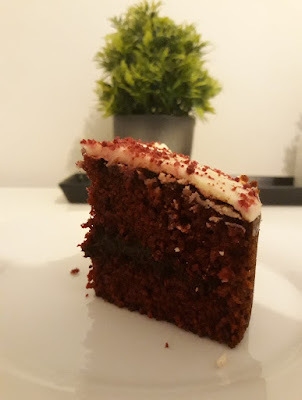 We made an amazing dinner at home and bought a red velvet cake in Tesco that was delish! 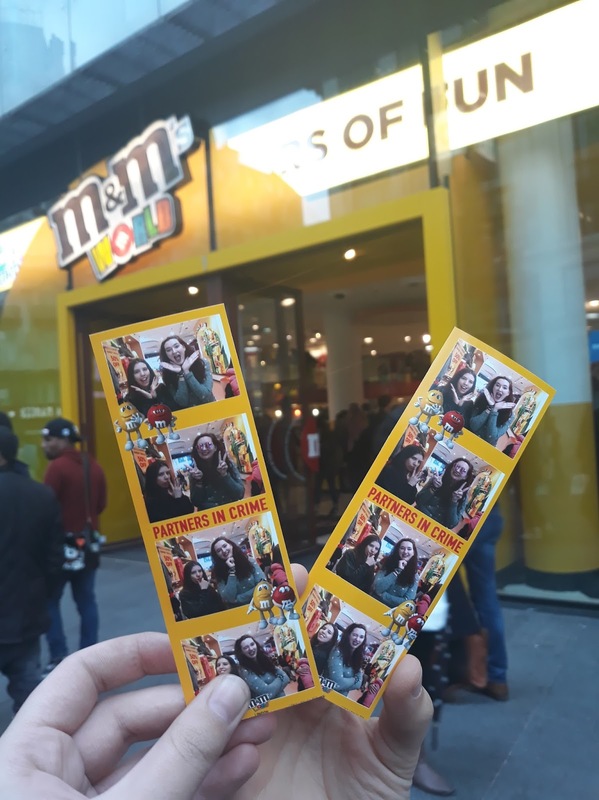 On the fifth and the last day of sightseeing and we decided to visit the most famous shopping street, Oxford Street, and I tell you that I had never entered a Primark with four floors! Yes four! I bought some things that I knew that were not available in Portugal ( I'll write a haul don't worry ). We dined near Soho in an Italian restaurant, the Pizza Express, where we ate quite well and it was delicious. We decided that on the last night we wanted to have fun and say goodbye to London so we went to a bar/disco where had a lot of fun. The last day was quite annoying as it was basically all over travel but I took advantage to buy some beauty products already at the airport at Boots to try and be able to write some posts about them here on the blog.